Hanneke’s just given me the ability to contribute to her blog. So from here on certain aspects (steepness of mountains, lengths of walks and temperatures for example) might be presented in a more balanced way ;-). Although this will require me to spend time at a computer during the weekends – something which I try to minimise these days. So I probably won’t write that much. Also as Hanneke draws her camera faster than Lucky Luke she tends to get the picture I was just about to take – thus robbing me of anything to blog about! 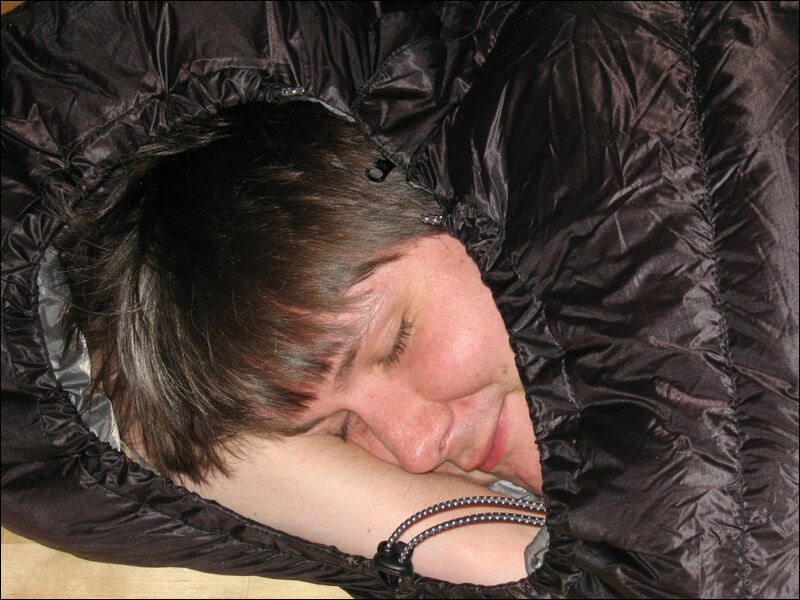 Anyways, here’s a picture of a new sleeping bag that I bought to protect me from the freezing nights up here. You’ll notice someone else has scooped the photo as usual 🙂 . you can turn off the heather ,saves money!